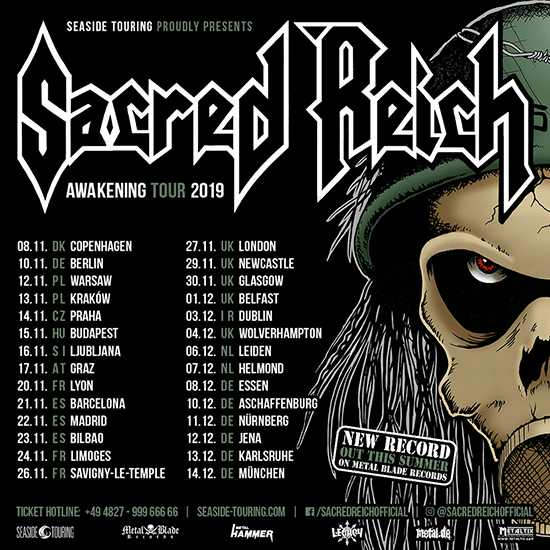 Legendary Phoenix Arizona based thrash metal veterans Sacre Reich have just finished recording their new album titled Awakening. This will be their first studio effort after 23 long years. The album will be released this summer. Their new song Don’t Do it Donnie will be released on April 19th as a 7 ″ split with Iron Reagan. “We are stoked to do a split with Iron Reagan. When we began as a band in 1986 we were influenced lyrically by punk bands and the Reagan era. 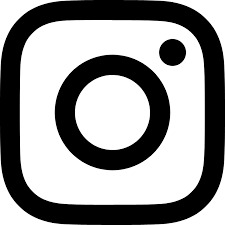 This is a great way to get back to our roots. The song is a heavy and cheeky middle finger to the politics of today. You’d think we’d have learned by now. There is a reason our first record is called ‘Ignorance’. 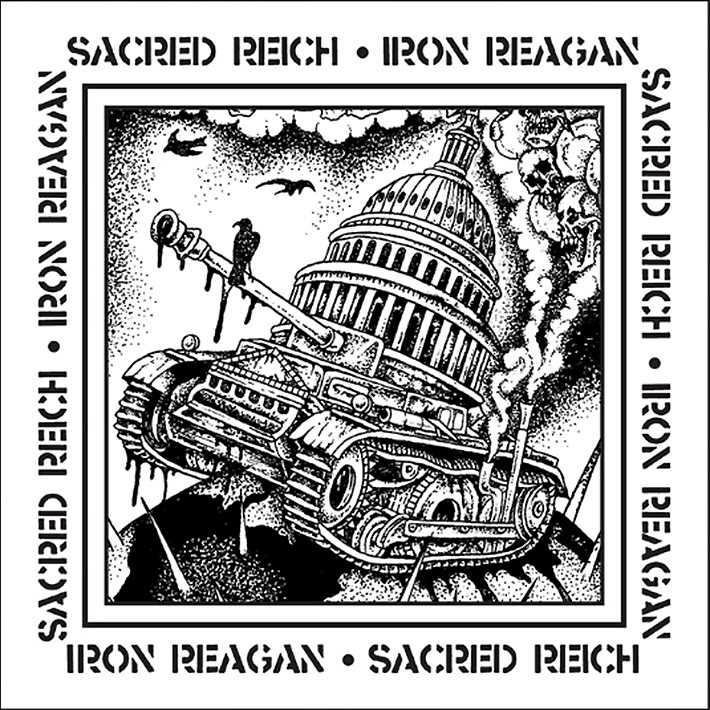 The split release will include Iron Reagan’s song They Scream and will be limited to 1000 copies only. The new SACRED REICH album ‘Awakening‘ has been recorded with producer Arthur Rizk and engineer John Aquilino at The Platinum Underground in Arizona. US RELEASE IS APRIL 19!!! 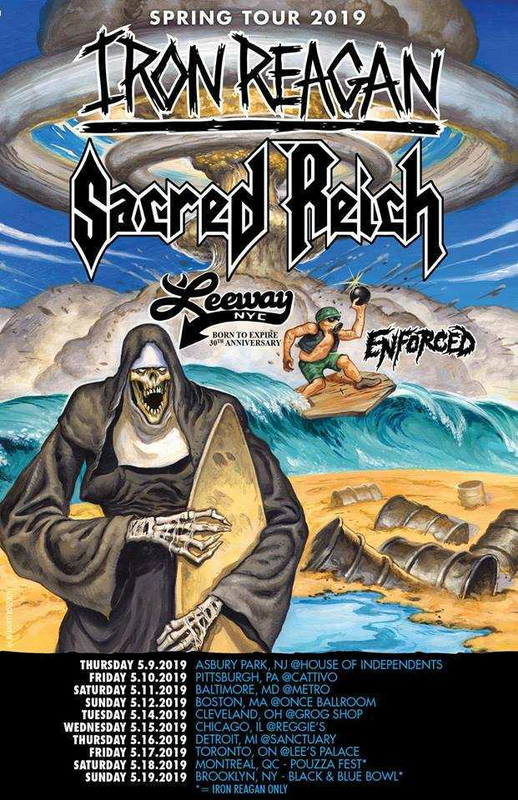 Crossover machine Iron Reagan will go on a tour with the legendary Phoenix Arizona thrash metal veterans Sacred Reich in the US during May. They will bring Leeway and Enforced as supporting acts. You can check the tour dates down below!